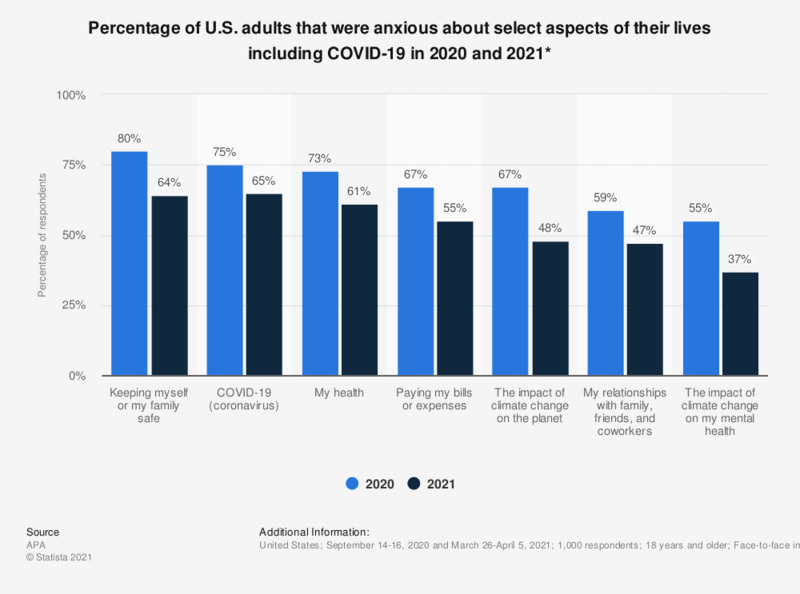 This statistic displays the percentage of U.S. adults that were anxious about select aspects of their lives as of 2018. According to the data, 68 percent of adults were anxious about keeping themselves or their family safe. * Only respondents that were "extremely and somewhat anxious'. Original question: How anxious are you about each of the following?